Just how visionary is Steve Jobs? It’s a loaded question that’s hard to answer. When Jobs and his friend Steve Wozniak cofounded Apple in 1976, it was impossible to tell that their computers would--at least in the first decade of the 21st century-- remake the way the world interacts with technology. But for at least a decade in its storied life, Apple was on the brink of becoming a second-tier brand, if not collapsing completely. 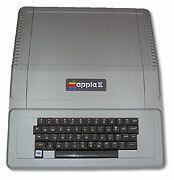 After the success of the Apple II in the late 1970s and early 1980s, Jobs’s imprudent spending and inexpert management of his company led the Apple board of directors to request that a more experienced CEO run the company. The board and Jobs chose John Sculley, a former president of Pepsi, to manage the rapidly growing company in conjunction with Jobs. But Jobs struggled in his new role, causing the board to oust him in 1985. On his way out, Jobs sold all but one share of his Apple stock--essentially a vote of no confidence in the company. From that point on, Apple took hits in popularity and lost considerable ground to Bill Gates's growing juggernaut throughout the 1990s. Sculley wasn't very successful. After him, however, Apple hired two more CEOs who were even bigger busts: Michael Spindler and Gil Amelio. Jobs and Apple remained estranged until 1997, when Apple bought out Jobs’s personal computer company NeXT, and brought Jobs into the fold along with it. From 1997 on, Apple has been the golden child of the computer industry, producing everything from hardware such as the iBook (in the early 2000s) and the iPhone to revolutionary concepts like the App Store. But what happened to Apple without Jobs--and can the same thing happen to Apple again? Looking back, a number of Apple products that came out in the Jobs-less era theoretically should have been very good for the company, but were either poorly managed or not marketed well enough to gain ground. In these examples we can see how losing Jobs today might bode ill for Apple investors. Perhaps without Jobs telling us what we want before we want it, even the best, most revolutionary products will go unnoticed. 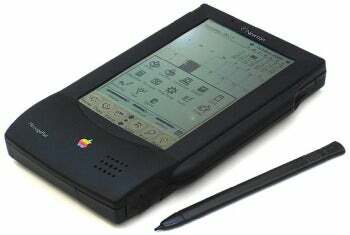 The Newton, released in 1993, is a good example of a strong Apple product that never found its following. The Newton was to be a revolutionary Personal Digital Device--one of the world’s first consumer PDAs. It had a touchscreen and a pen stylus, and almost no competition in the market. But it flopped despite its revolutionary design and “luxury” pricing (two of the things Apple enthusiasts tout as reasons for the iPhone’s success). One problem: Apple allowed Motorola, Sharp, and Digital Ocean to manufacture devices that ran the Newton OS, and ultimately the lack of uniformity may have been a turnoff to adopters (you hear that, Android?). Gary Trudeau’s Doonesbury poked fun at the device’s learn-to-read-your-handwriting software, and although tablet enthusiasts still cite it as a great early mobile device, Apple announced that it would discontinue the operating system in 1998, a year after Steve Jobs returned to the company. For the most part, however, Apple’s history without Steve Jobs is not of one of good products that can't find an audience. Instead, it’s a history of unfocused management, unable to make good products at all. One example: In 1991, Apple joined forces with IBM and Motorola to create a company called Taligent to develop and license an operating system on IBM’s PowerPC architecture. The idea was to give Microsoft a run for its money. Apple put considerable resources into making the unholy triad work, hoping that it would streamline hardware, software, and design by creating a strategic alliance of the best companies in the electronics industry. But around the time Apple was trying to lean on its friends, and the Apple, IBM, and Motorola Group (otherwise known as the AIM partnership) was attempting to get the PowerPC chip into its personal computers, Apple’s worldwide market share fell from 12 percent to 3 percent, and Apple struggled to stay relevant in any respect. Even worse, Apple refused to license its OS that worked with PowerPC, so IBM and Motorola lost any chance to make money on the product. Another big problem was that the CEOs of Apple saw splintering the brand and partnering with other companies (as in the PowerPC deal) as viable methods of competing in the world of PCs. In the early '90s, Apple was pushing both the Apple II and Macintosh computers to two different audiences--and even after the Apple II was laid to rest, Apple started producing lots of Macintoshes that were too similar to one another and confused consumers. At the same time, Windows was becoming more friendly to average users, and eventually the integration of Internet Explorer into all versions of Windows (helping regular Joes “get on the Internet”) gave Windows the upper hand. But just because Jobs’s second term as CEO was so successful doesn’t mean that everything he ever did was successful. After he was ousted from Apple, Jobs went on to found NeXT, a company that came out with “The Cube,” an expensive but elegant computer. It totally flopped in the marketplace. Jobs got a sort of bailout when he was hired as a consultant in 1996 for Apple, and the company agreed to buy NeXT for $427 million. When he returned to his company as CEO in 1997, he had learned from his mistakes, as well as from Apple's mistakes over the previous decade. According to Brian X. Chen’s book Always On, one of Jobs’s first and best decisions upon his return was to stop “cloning” Macintosh computers. Since 1995, Apple had been allowing the Power Computing Corporation to make Mac-compatible computers. The arrangement was cutting into Apple's bottom line and diminishing the quality of Mac computers in the marketplace. The same story applies to the Newton: With the OS being rented out to anyone who could create a device for it, the products lacked the uniformity and the quality control that Apple products are now known for. Jobs came back and taught Apple that in-house products are the way to go, and Apple has operated the world’s most successful “walled garden” ever since. A Bloomberg special on Jobs’s career notes that after his stint at NeXT, he learned that he got more attention from being secretive. Although he burned through capital too quickly to make that company profitable, he honed his mum's-the-word techniques there--techniques that to this day drive the media wild, and probably amp up the hype for Apple products. Today, as Jobs prepares to step down as CEO for the first time since 1997 (excluding several leaves of absence for medical reasons, in which he remained in control of major decisions in the company), Apple investors are looking back on his career, and hoping that the company can survive without him. Certainly Jobs as a “product impresario” had a vision, but it was a vision to get Apple back on the right track, and he taught the company lessons that it won’t forget.